Earthernware,feathers and organza ribbon. Bird has a tactile fat tummy. Measurement is from the tip of the feather to tip of beak and top of bow to the edge of the bird. 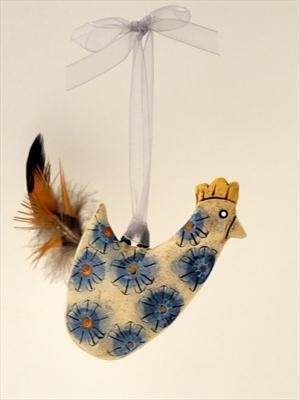 Hand made ceramic hen by shirley vauvelle.